A commitment to art is one of the core values of The Dean Dublin on Harcourt Street since the hotel opened two and a half years ago. With over 40 contemporary Irish artists’ work hanging on its walls, it strives to cultivate a relaxed environment where creative people can easily engage with each other. The collection, curated by street artist James Earley, features many artists whose work is also represented in the Irish Museum of Modern Art (IMMA) collection. In The Dean’s reception area, for example, there is a glowing neon LED sign – ‘I fell in love here’ by British artist Tracey Emin. Once all of this came to the attention of IMMA board member Denis Hickie, he approached the hotel’s owner Paddy McKillen Jnr early last year to see how they might be able to work together. What resulted is a fluid partnership which has evolved in various ways to the benefit of both. The crux of the partnership is to allow The Dean to offer its guests the opportunity to take part in IMMA’s creative and experimental programmes, while enabling IMMA to invite artists, curators and collectors from Ireland and around the world to stay in Dublin. Kelly works closely with Aoife Flynn, head of audiences and development at IMMA, to come up with different ways to bring the partnership to life to really benefit guests and visitors. One of the successful activations from their many informal brainstorming sessions was the creation of the ‘IMMA Experience Package’. This includes an exclusive tour of IMMA’s ‘Freud Project’, a collection featuring 50 works by realist painter Lucian Freud, plus an overnight stay and dinner at The Dean. It has been very popular among international visitors in particular, according to Kelly. 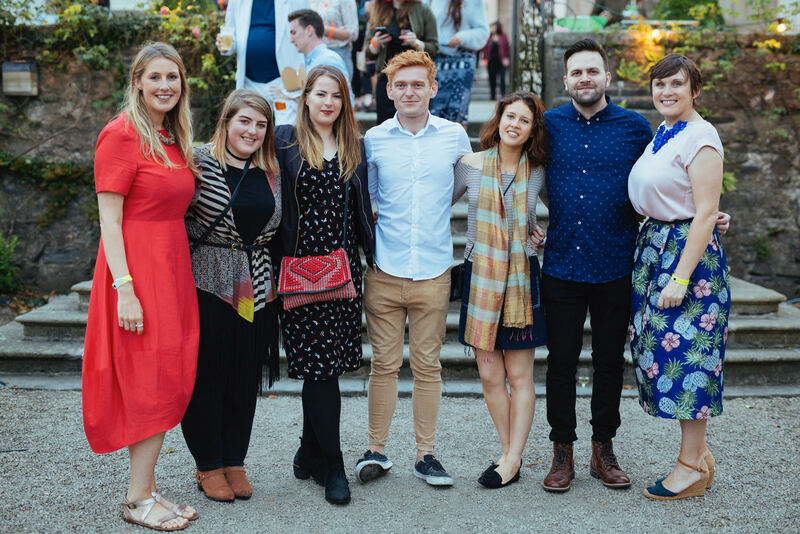 Guests at The Dean also had the opportunity to attend a day-long event as part of a novel project at IMMA in August 2016 called ‘A Fair Land’. This involved The Royal Hospital’s cobblestoned quadrant being turned into a small village where visitors could “eat, make, think or trade”. “It sold out quickly for us,” says Kelly. The genuine interest shown in the partnership by front of house staff in both The Dean and IMMA is a particularly satisfying aspect of this pairing, which has helped to make it so collaborative. “The knowledge and creativity of the IMMA team has taught us how to view the art on The Dean walls in an educated way and share that with our guests,” adds Kelly. The partnership between The Dean and IMMA will continue until April 2018, with a view to an ongoing long-term collaboration.